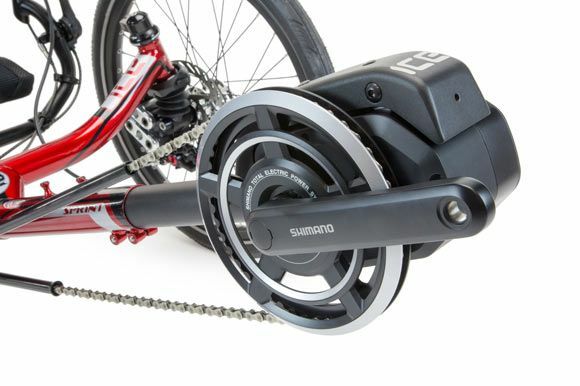 The Sprint X features ICE's easy access swept cruciform and a handlebar clamping system with super secure indexed clamps, ensuring easy alignment when unfolding and solid handlebar positioning. 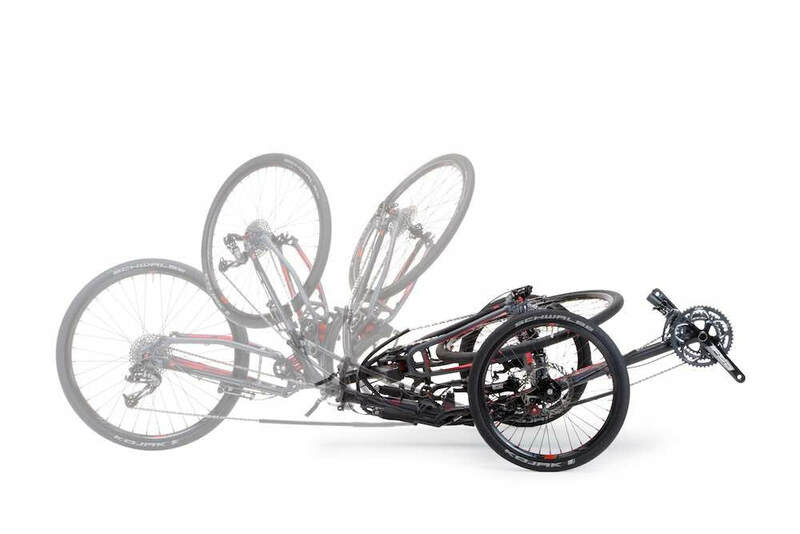 The practical cousin to the VTX, the Sprint X is likely to be the fastest foldable recumbent trike available. Highly customizable with suspension, seating and accessories to create the ultimate road tourer or commuter. The Sprint X extends the precision engineering and design of the standard Sprint range by utilizing race-specification components. All trikes in the ICE Sprint X range are built on an optimized ICE frame featuring Compact Flat Twist Fold, No Brake Steer, and Rider Positioning System. 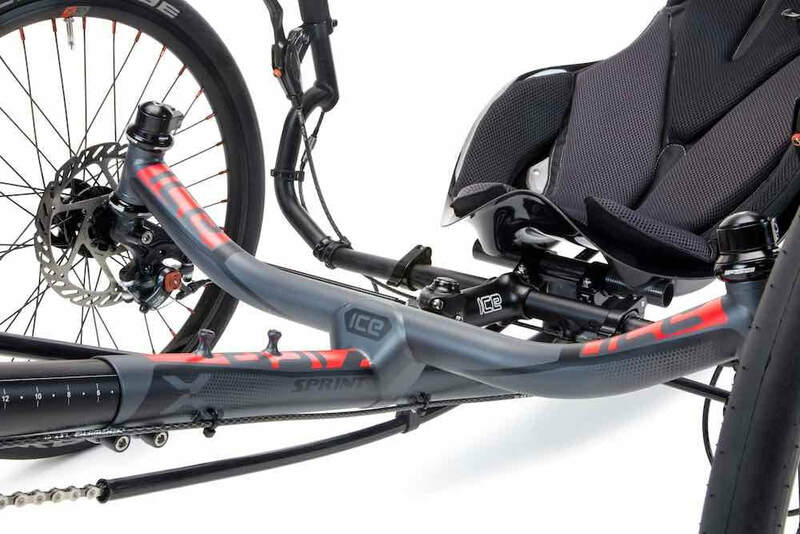 The Sprint X features ICE'S easy access swept cruciforms. 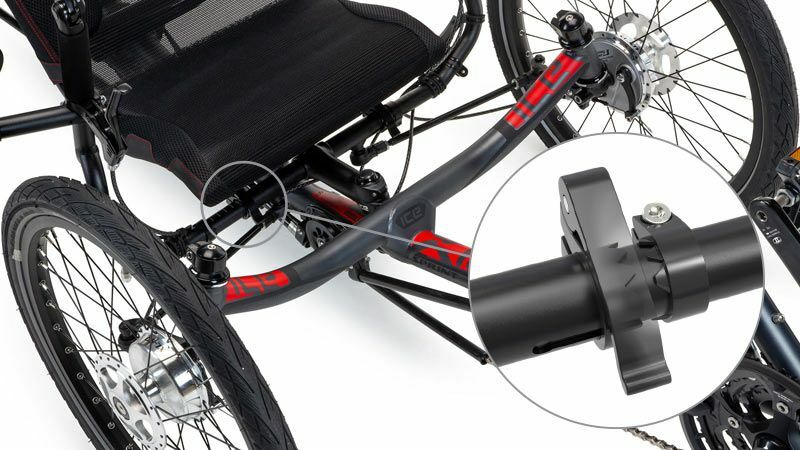 Allowing you to get your feet further under you for a more stable entry and exit of the trike, this also creates improved heel clearance for smaller riders. The Sprint X is a performance trike with the benefit of a fold. The Compact Flat Twist Fold is based around a lightweight heat-treated aluminum hinge on the main frame. Simply remove the seat, fold the handlebars flat, and undo the quick release lever to fold the frame. As the frame folds, the rear wheel pivots to fit flat between the front wheels. The CFT fold allows the trike to be folded in under 30 seconds and works with all ICE accessories. The Air Pro hardshell seat is handmade by ICE in house to the highest quality control standards by master craftsmen. It is a lightweight, form-fitting seat which is stiff and strong, providing excellent power transfer and making sure everything you put into the pedals makes it to the road. It is available in two materials and two sizes to suit different riders and different budgets. It is finished with a dual density foam core fabric cover, tuned for maximum comfort while, keeping the weight low and the feel of the seat sporty. The Carbon fibre version of the Air Pro seat is around .5kg lighter than the same size seat in GRP. 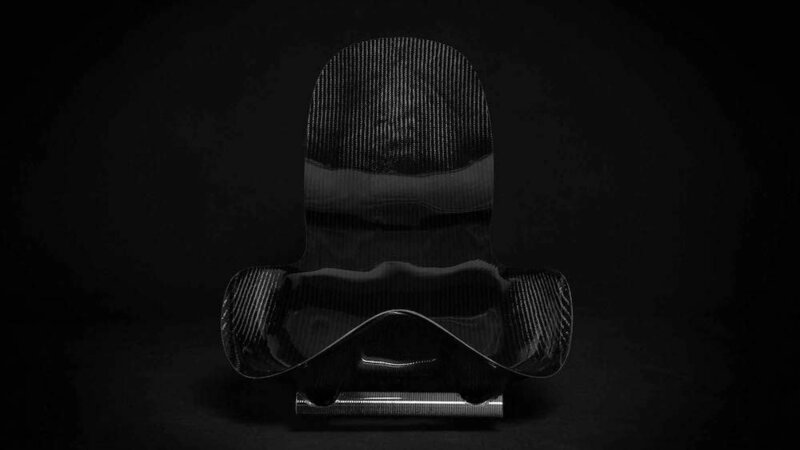 It is made from layers of carbon fiber woven sheet, with the fibers oriented for maximum strength in specific areas of the seat. 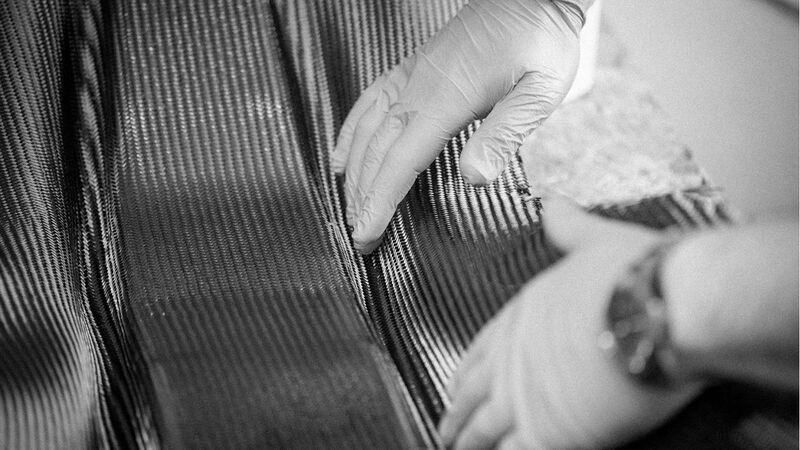 The fibers are bonded together with epoxy resin making it lighter and stronger than the GRP version of the seat. But, that does come with an increased price tag. It has the classic carbon fiber checker board finish.